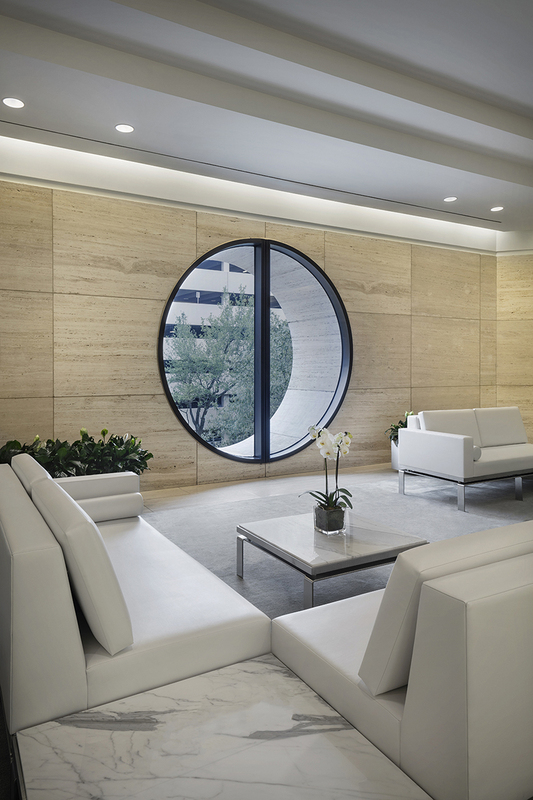 KHA redesigned two public lobbies in this 1980s era tower in Houston’s flourishing Galleria District. 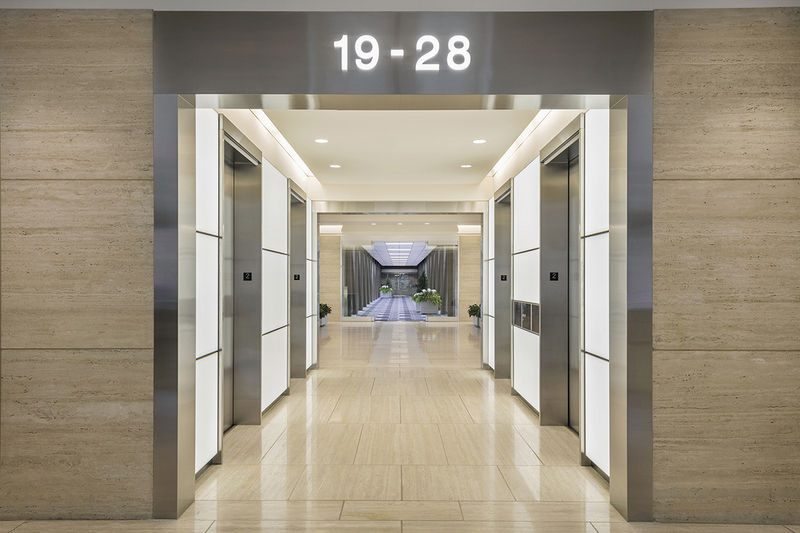 The challenge was to refresh the 30-year-old tower to attract 21st century tenants while honoring the legacy of the original design. 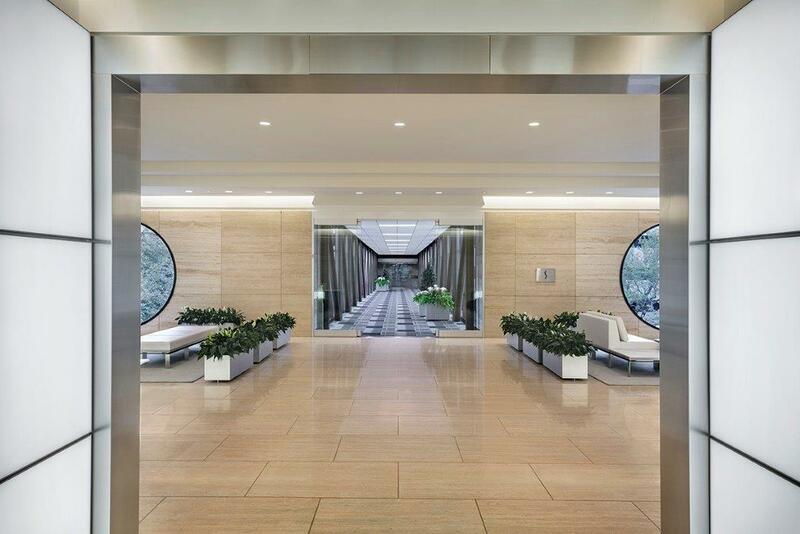 The tower’s context includes wooded park land adjacent to a boutique hotel, retail amenities, historic neighborhoods and Loop 610 — a major transportation artery with easy access to other Uptown destinations. 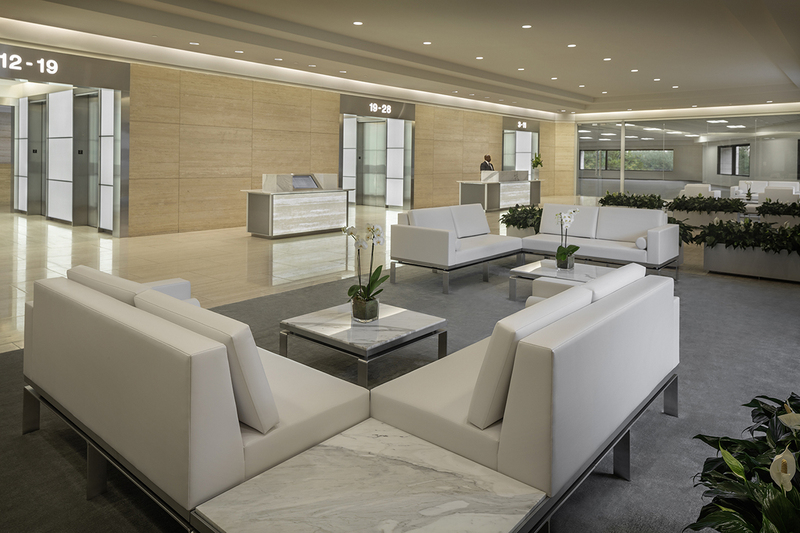 A refreshed lighting plan, back-lighted glass panels and stainless steel portals were added. 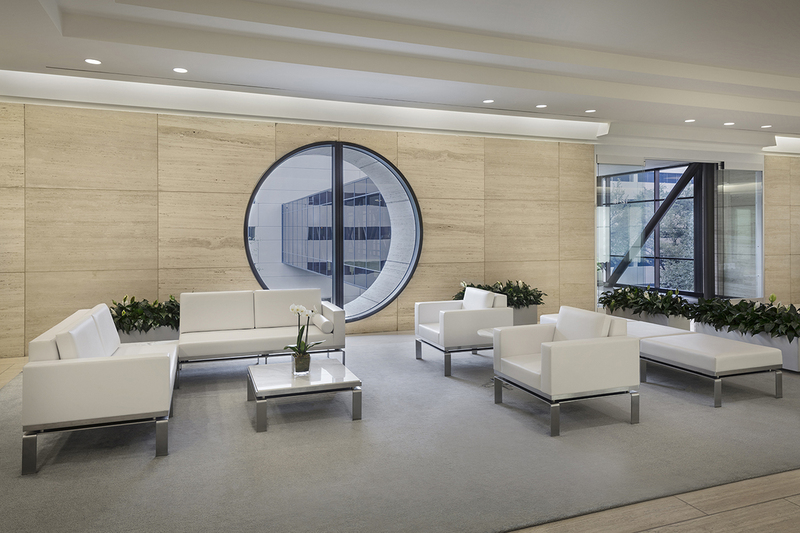 New custom furniture and rugs further refine the space within the existing travertine shell. 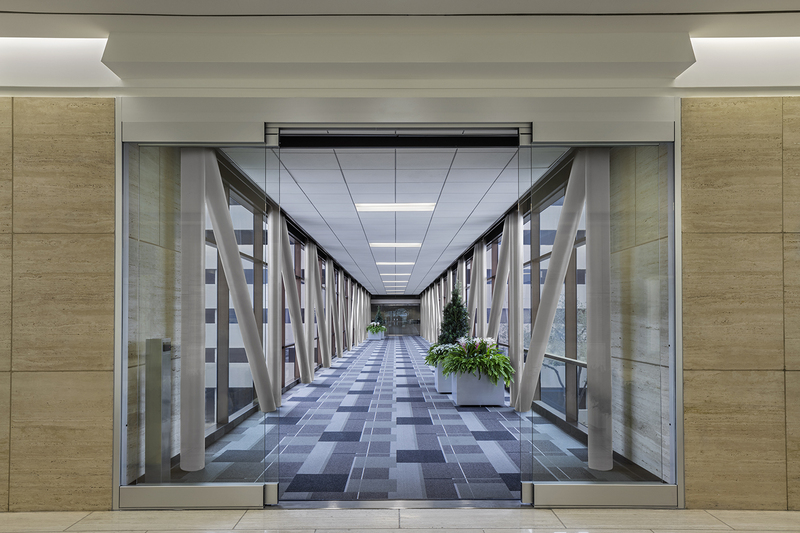 An outdated aluminum frame storefront was replaced with a sleek structural glass and steel glazing system. 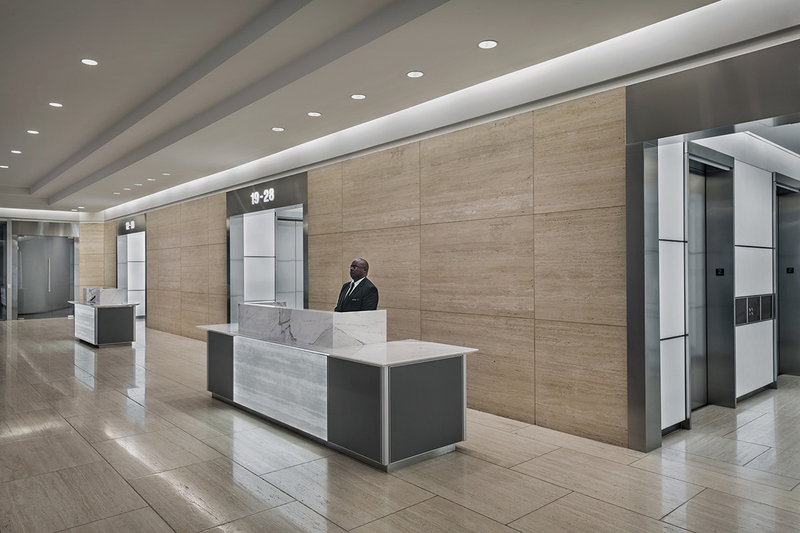 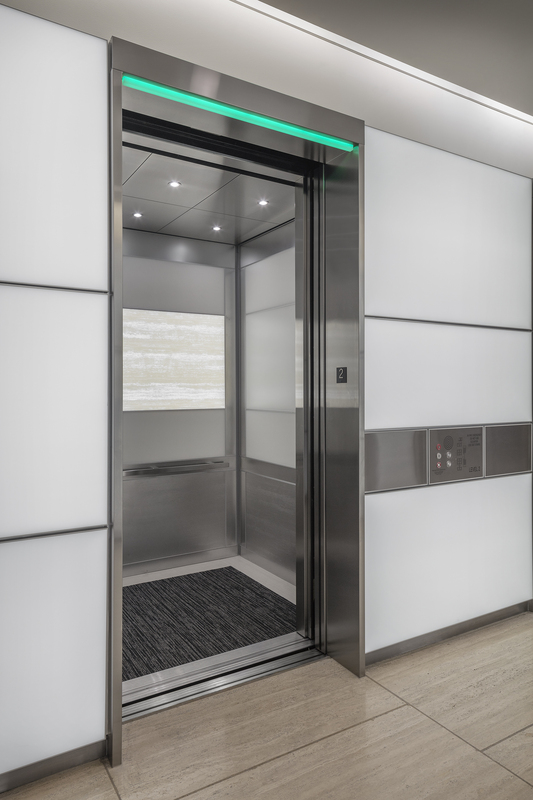 The sky bridge connecting the elevated lobby to the parking structure, elevator cabs, and the public restrooms were also updated in the 28-story tower to modernize the space as the building adapted to appeal to a new client base.